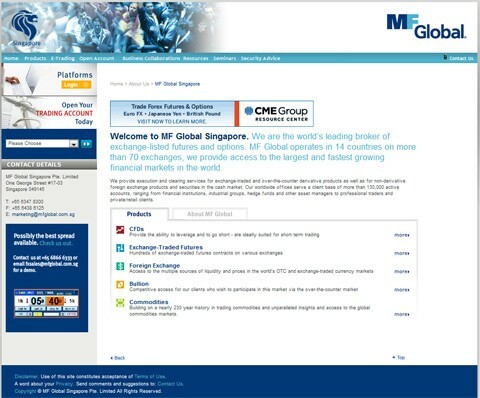 Singapore Exchange and MAS have suspended all operations by MF Global. Following the move by MF Global Holdings Ltd, the ultimate parent company of MF Global Singapore Pte. Limited (MFGS), to file under Chapter 11 of the US Bankruptcy Code, other MF Global entities in the UK and Australia have also been placed into administration. The Board of Directors of MFGS has appointed provisional liquidators from KPMG on 1 November 2011 to oversee the winding down of the company. The provisional liquidation is intended to safeguard the interest of customers and achieve equitable treatment for all creditors.